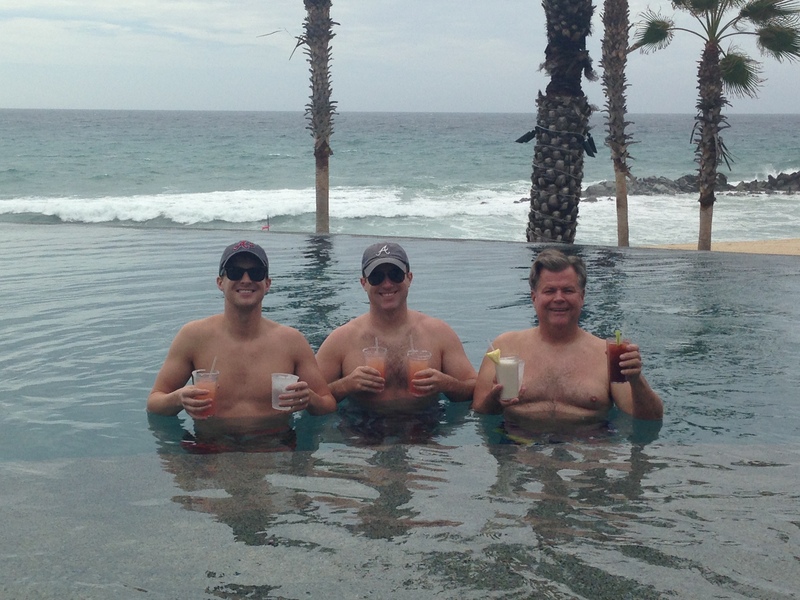 We just returned from Cabo San Lucas, Mexico in celebration of my 30th birthday (and my dad’s 58th birthday, too!). My parents are so incredibly generous to have treated us to this trip, and I will always be grateful for these family trips we’re so fortunate to take together. Our trip got off to a rocky start in Atlanta when our flight was cancelled almost immediately upon getting to the airport. After a lot a bit of griping and complaining, we were moved to the next flight out to Dallas and then onto Cabo… which left us with about 5 hours to kill. We managed to pass the day away with mimosas and a most delicious lunch at One Flew South, which is the fanciest airport restaurant I’ve ever seen. After a full evening of travel, we arrived in paradise! 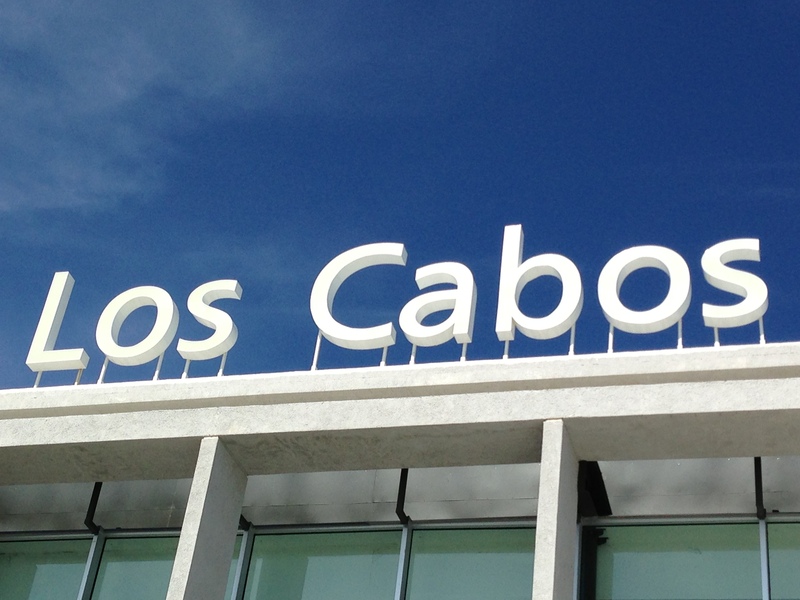 We chose to stay at the Hilton Los Cabos, which is in the “corridor” between Cabo San Lucas and San Jose del Cabo, so we rented a van to have our own transportation (I hear cab rides are rather pricey there). 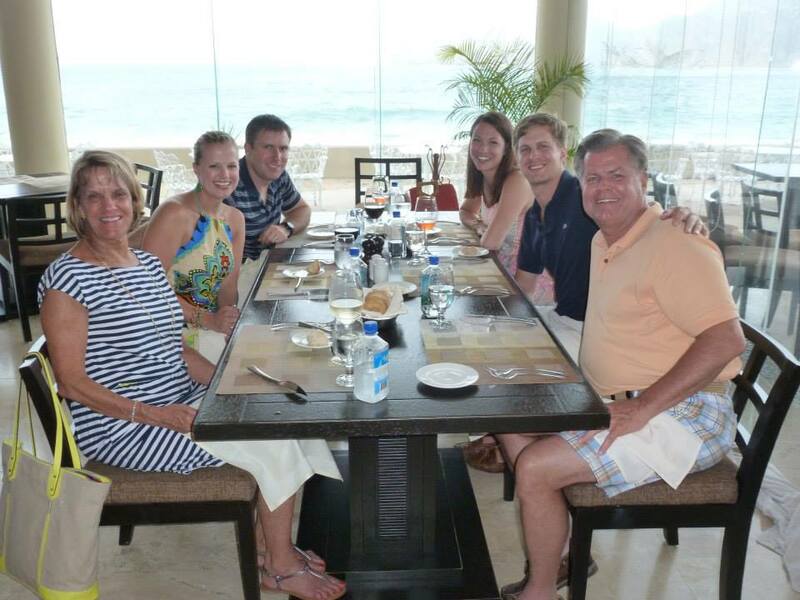 On our way to the resort, we stopped at Mi Casa in the sleepy town of San Jose del Cabo for dinner. The restaurant was really neat — lots of small, colorful rooms, a big outdoor seating area, and a beautiful shop with all sorts of Mexican-inspired trinkets and art. 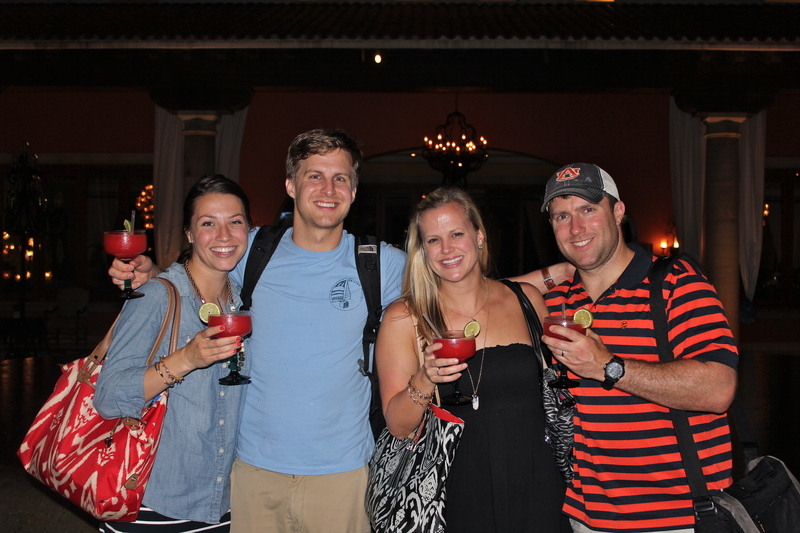 We had the most yummy, fresh margaritas at dinner, and then when we arrived for check-in at the Hilton, we were greeted with frozen strawberry ritas! That’s what I’m talking about, Hilton. Saturday morning, we woke up to this. It’s the most gorgeous view I’ve ever seen from a hotel balcony. We seriously lucked out with the location of our rooms — almost top floor and smack dab in the center of the building, giving us the perfect view of the pool and ocean. I was so worried the week leading up to the trip because of the weather forecast — 60% and 80% chance of rain the first two days. But after a couple quick showers the first two mornings, we had nothing but beautiful sunshine the rest of the trip. 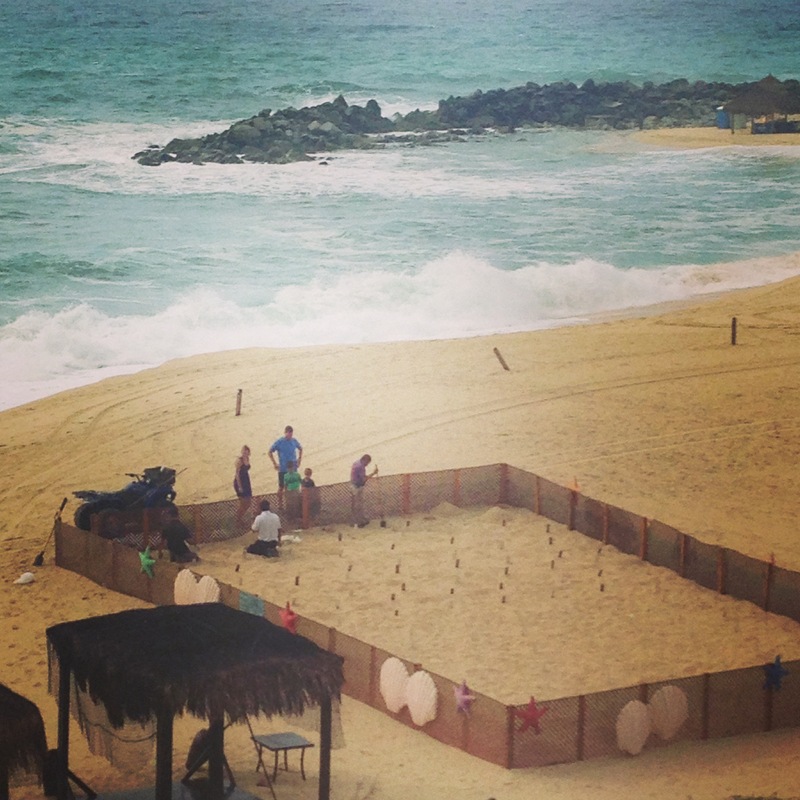 We didn’t get to see it up close, but that giant fenced-in area is where they were burying sea turtle eggs, which should hatch this fall. I’ve never seen so many aloe plants in my life. Our one trip down to the beach. The first day, the water was so rough that every time it hit the rocks, it would spray up probably at least 20 feet in the air. Quite a sight. 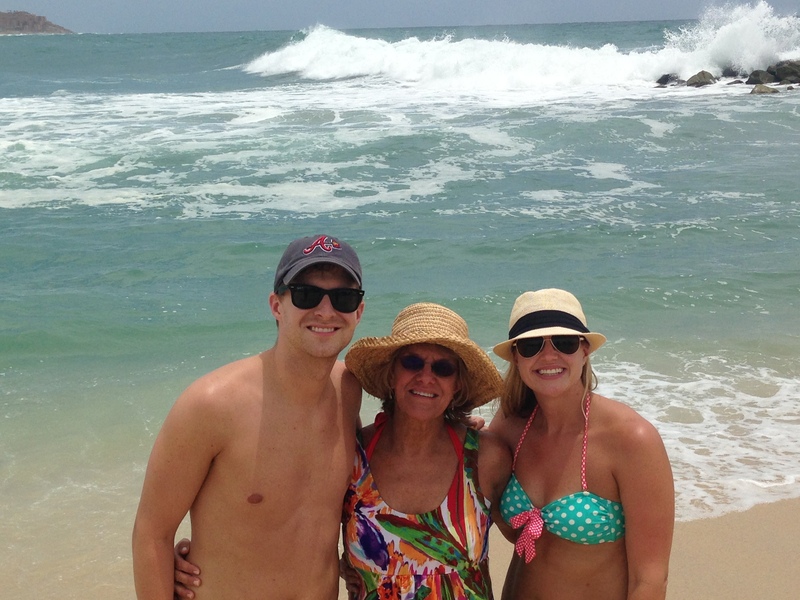 The sand was really coarse and sort of hard to walk in, so we stuck to the infinity pool for the rest of our stay. It was closer to the waiters anyway. The most perfect day. The infinity pool was incredible! This was the view coming out of our rooms. 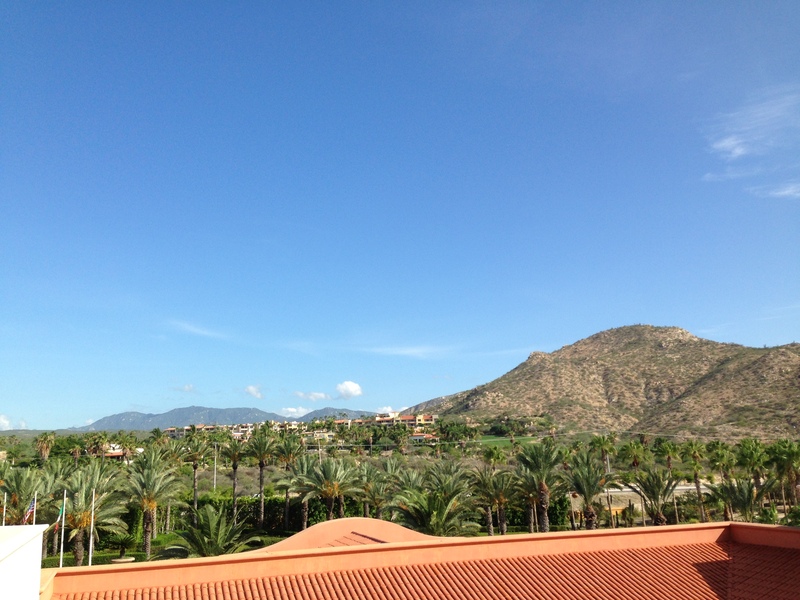 I love the contrast of the bright clay roof with the blue sky, palm trees, and mountains. This is as close as we got to Land’s End, the famed rock formation out in the ocean. 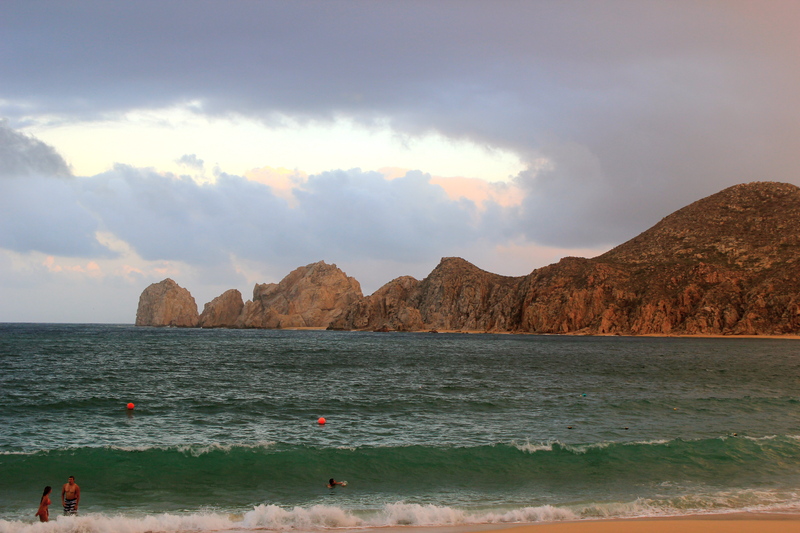 We went into Cabo San Lucas just once for dinner, and that was enough for me. I’m not a fan of being harassed by salespeople as we walk down the street, so we decided we’d prefer to stay by the pool at the Hilton instead. I’d have loved to take a boat ride to see Land’s End closer, but maybe next time! Dinner at 12 Tribes at the Casa Dorada Hotel. 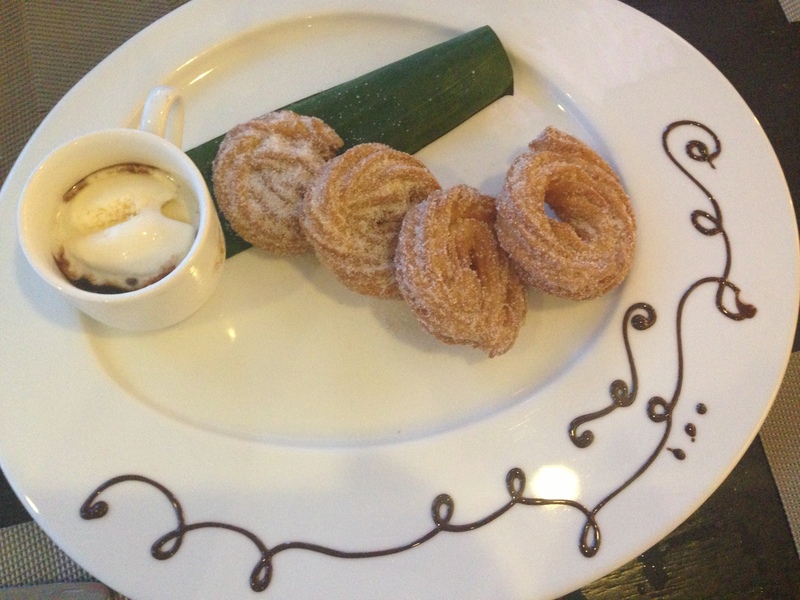 Best tres leches cake and churros ever. Craig tried to lick the plate. We may have ordered a second helping of this — and extra ice cream. That covers the first half of our trip! I wish I could share every photo, but you’d be here all day. Check back soon for the second half — and a post about one of the best dinners we’ve ever had.